Trigonopeltastes delta (Delta Flower Scarab). Size: approx. 8 mm. Photo: 09/05/11, 11 am. 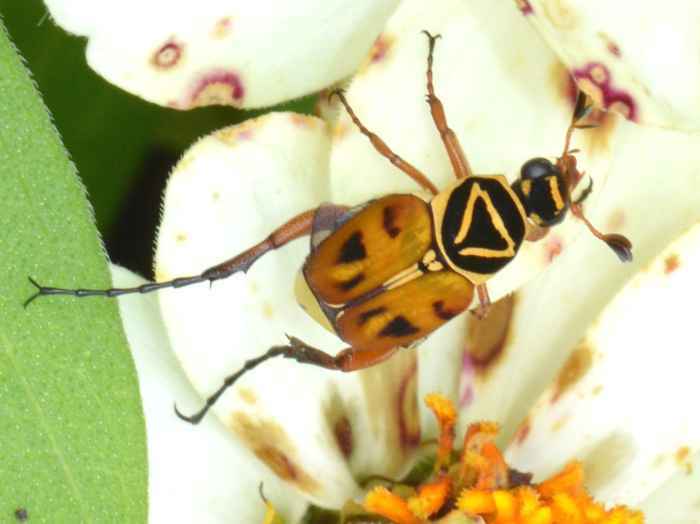 A "D Beetle" ("D" for delta) or more commonly know as Delta Flower Scarab (Trigonopeltastes delta). The characteristic delta-like marking on the pronotum and the orange color of the elytra are possibly a wasp mimicry.